Buy-to-let mortgage rates and deals for landlords: how have they changed? Last month’s base rate hike has been felt across the mortgage market, with buyers facing higher interest rates – but how has the buy-to-let sector been affected? On 1 November, the Bank of England announced the base rate would rise to 0.5% – the first rate rise since July 2007. Which? looks at deals available in the buy-to-let sector in recent times and what factors have influenced rates. If you’re a buy-to-let investor, you can get impartial, expert advice on finding the right mortgage deal by calling Which? Mortgage Advisers on 0808 252 7987. When the base rate increases, mortgage interest rates also tend to rise – and even speculation can push up the average. But the effects of the most recent increase on the buy-to-let mortgage market have been relatively mild. The average for fixed-rate buy-to-let deals began to edge up from October, after a sharp decline from June. This coincided with rising speculation that the Bank of England would announce a rate increase at its November meeting. But two weeks after the announcement, the average has hit just 3.2% – up 0.01% from 1 November, but at the same level as mid-September. By comparison, residential fixed rate mortgages increased by 0.12% in November. At the same time, the average for variable rate buy-to-let deals actually decreased after the base rate hike, easing from 3.15% on 1 November to 3.14% on 15 November. This follows a longer term downward trend for variable rate buy-to-let mortgages. The base rate is not the only factor impacting on buy-to-let mortgages, which may explain the unpredictability of the fixed-rate sector. At the end of September, new lending criteria were introduced that enforced stricter stress tests for portfolio borrowers. Around the same time, the average fixed-rate deal offered to buy-to-let investors plummeted by 1.1% as banks sought to reassure buyers. The change is the latest in a raft of legislative reforms aimed at tightening up the buy-to-let sector – including a stamp duty surcharge, changes to mortgage interest tax relief and new requirements for wear and tear deductions. 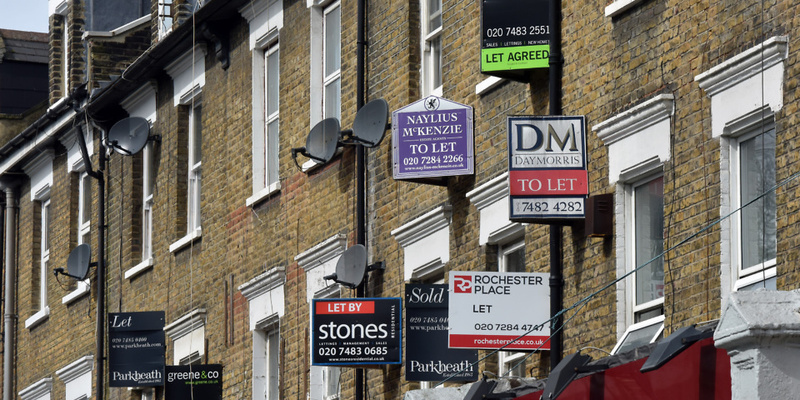 Meanwhile, a new bill currently before parliament proposes banning tenants from being charged letting fees – which is likely to increase costs for landlords. As buy-to-let becomes a less attractive proposition, lenders may continue to lower their rates to compete for a shrinking pool of buyers. In the two weeks since the base rate rise was announced, a number of lenders have announced changes to their buy-to-let offers. Several slashed costs – both Natwest and Royal Bank of Scotland reduced the rate on two-year fixes by 0.15% and on five-year fixes by 0.2% . But others pushed up costs, particularly on variable products. HSBC, Santander, Halifax and Barclays all increased their variable rate products by 0.25% on the back of the rate rise, passing the full cost on to consumers. While current offers have started to become slightly more expensive, aspiring landlords can still find good-value deals. But mortgage costs are not the only consideration. The stamp duty surcharge means buy-to-let investors need to put down an additional 3% of the purchase price, on top of their previous costs. Landlords in the higher tax bracket will also be able to claim less mortgage tax relief, and may face more red tape when applying for a loan. Before buying an investment property, landlords should make sure the purchase is likely to pay off – considering both the property’s potential rental profit and the prospect of capital growth. For more information, our guide on becoming a landlord tells you everything you need to know about buy-to-let.